I was honored to be given the opportunity to share about my experience with postpartum depression over on the Team Mica Fund Blog. Mica Breeden Martin and I shared many things in common–a hometown, mutual friends and mental illness. Mica’s journey ended in December 2011. The Team Mica Fund was created in her honor to support organizations educating others about suicide prevention and assisting those with mental illness. If you know someone experiencing mental illness, postpartum depression or contemplating suicide, please love them well by getting them help. To read more about my postpartum journey, click here. Our first day of school photo. 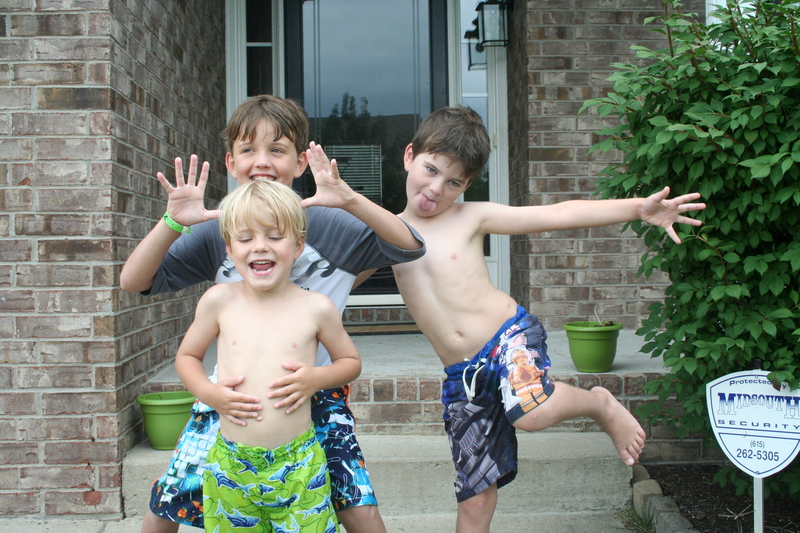 Oh yes, we’re sporting our swim gear–our new ‘first day of school’ tradition. Our CC Community started back this week! We had a wonderful day learning and laughing together. At our dinner table tonight, we were discussing their first day of Classical Conversations. Our oldest, totally unsolicited, said, “It was a great first day of CC.” My heart was happy. We asked Son #2 his favorite part of CC today, and I thought, “He’s going to say, ‘Playing football and basketball in the gym after lunch. '” I was pleasantly shocked to hear him say, “Playing the Bang! review game.” Children, truly, are natural learners, and I believe their hearts sing when they are learning (although they do not realize it or know how to articulate it). As a parent, my heart sings when I watch them learn! Isn’t it wonderful?!?! Our CC Community got together a couple of times before our year started today. At one particular “CC Mom’s Night,” the CC Veterans were given an opportunity to pass along wisdom, best practices, advice, and helps to the CC First Timers. As I collected my thoughts and thought back over last year (our first year with CC), I passed along these 4 “nuggets” of wisdom. I wish I had known these things going into our first year of CC. If I had only known that driving home from our CC day after completing Week 2, Week 3, Week 4, Week 5, things would start to slowly make sense, I could have saved myself many panic attacks. 🙂 One way that I have heard the Classical Model explained is layered learning. We have to hear things multiple times to cement it into our brain. This was the sum of my experience in those first weeks of CC. Week 1–Confusion, Week 2–Less confusion, Week 3–Even less confusion, Week 4–Starting to “get it”, breathing a little easier, Week 5–Feeling more confident. With each week, the mortar was being laid, the layers were being cemented into my brain. CC was making more sense. So, for those of you like me–planners, type A, perfectionists–embrace the chaos that you will feel those first few weeks. I am a perfectionist, but I like to say that I’ve been in recovery the last 3 years. 🙂 During this time, I have learned my greatest lessons from just going with the flow. (Did I really just say that?!?! Seriously, people, I’ve come a long way; glory to God!) My encouragement to you is this–throw off your longing to completely, perfectly understand everything from the beginning. Your depth of understanding and “Aha!” moments will increase with each week. Embrace the chaos. It, too, shall pass, and clarity will be right around the corner. 2) Community: Take Advantage of It–I love that the structure and title of each Classical Conversation location is a CC Community. There will be CC Veterans in your community, Lord willing, who have done CC in the past. When you’re stumped, bumfuzzled, or pulling out your hair, seek those women out and sit at their feet. Ask them questions, talk to them about areas where you are struggling, glean from their wisdom. I regret that I did not take advantage of CC Veterans around me as we started last year. Our Community was in year #1, too, and surprisingly there were only a couple of CC Veterans. Most of us were new, walking around “deer in the headlights” for a while. 🙂 However, instead of “staying there,” I wish that I would have reached out to the couple of CC Veterans in our community or friends of mine who are CC Veterans living in other states. I should have picked the brains of those women! I was burned out last year before we even made it to Week 24! If I had chosen to set aside my pride, open up to wise women around me, I firmly believe that I would have never made it to the burn out level. They could have helped steer me in a better direction than the one I was charting for myself. Related to this discussion of “community,” I shared with our CC Moms, too, and I’ll let you in on the secret. Drum roll please–no one has it all together. We are all regular people, who have good days and bad days in our homeschooling journey. Don’t be afraid to share how you’re struggling or to ask for help. After all, you are in a Community. You are not on this journey alone! Isn’t that wonderful!?!?! If you can’t figure out how to review New Grammar at home, ask a CC veteran. If you are feeling guilty that you’re not doing enough, ask a CC veteran. (Don’t worry! I’m sure that you are!) If you have no idea what CC Connected is or how to navigate it, ask a CC Veteran. 🙂 The beauty of community is seen, felt, experienced when we set our pride, “walls” aside and are just plain ol’ honest with one another. So, don’t be afraid to ask questions or to feel like you’ll look “dumb.” I pray that your CC Community will be there to walk beside you with each step. 3) Community: Intentionally build it–I loved that our Classical Conversations Parent Practicum speaker this summer challenged us to pray for our communities to be peaceful. She even suggested reading this book, The Peacemaker: A Biblical Guide to Resolving Personal Conflict, together in a book club format with your CC Community’s Moms. (Love this idea!) In the weeks following the practicum, I have been praying for our community to be one characterized by peace. However, I didn’t stop there. I long for my CC Community to be a COMMUNITY, one that is open, honest, supportive and encouraging to one another, so I have been praying for those things as well. As I have prayed, I have realized that I am a part of the answer to my own prayers. If I desire for my CC Community to be a community, I need to be characterized by the things that I’m praying for–open, honest, supportive, encouraging and peaceful. I am praying for Him to enable me to be those things. I desire to be faithful to do my part in building community at our location. I love that the structure of the Classical Conversations model is designed to facilitate “community building.” In the hour following the completion of our CC Classes, we all pile around lunch tables and share a meal together. The moms chatter incessantly (Thank you, CC, for building in “adult conversation” time for us! ), and the children run wildly play together. There were weeks last year when I was tempted to just go home and “skip lunch.” Or, there were mornings when we left hurriedly from home and lunches did not get packed. On those occasions, I left after CC class and went home. I realize now that I missed out on great opportunities to glean wisdom from CC Veterans and veteran homeschool moms and to build relationships with these amazing women. My commitment this year is to not do that. I want to be proactive about building community, sharing life with those in our CC Community, and I see the beauty of the CC “lunch hour” in doing just that. I pray that God would graciously build strong community among us, that our love for each other would grow exponentially, that we will be encouraging and edifying towards one another, and that we would all experience amazing growth in our relationship with Him this year as we see Him in all things. CC Cycle 2: Science Projects and Scripture Verses–God in all things! With Classical Conversations, the goal is to integrate a Christian Worldview with the Classical Model of Education. I love this synthesis because it places God where He deserves to be–the center of all things. As we start in Cycle 2 this year, there are many elements of the Science Experiments & Projects and New Grammar introducing Astronomy. One suggestion at our Tutor Training was to incorporate a Scripture verse with the weekly Science Experiment or Project. What a wonderful way to hem in and saturate our Cycle 2 studies with God at the center! As I have looked over the Science Experiments for Cycle 2, Weeks 1-6, noting the Astronomy theme, I went to work with my concordance. It was a fun little exercise! I think I had chills constantly as I read about God’s majesty and power in creation! I found several great verses that will work well with Cycle 2, so I wanted to pass those along. Before I posted the list, I wanted to give you an example of how these can be used in class. This is one of my favorite passages in the entire Bible. It was in our wedding. 🙂 I love that Colossians 1 teaches us that all things were created through Him and for Him and that Christ literally holds everything together. This can easily be incorporated into our conversations about the planets, stars, comets, moons, etc.! All of the planets, stars, the sun, moons, comets are in their orbits, in their exact location because Jesus is holding them there. If at any point that God decided otherwise, these celestial beings would do something else. Gravity is explainable and exists because God is. 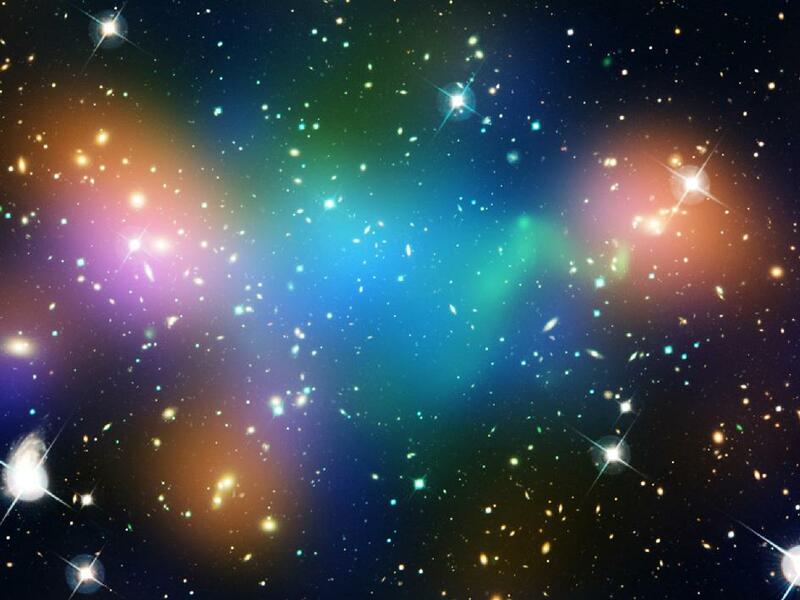 Force = mass times acceleration because God made it so. The planets are orbiting around the sun because Jesus created them to do that! They are staying right where they are, in their respective orbits, because He is holding them together. Whew! Tears, tears, tears for me right now!! Isn’t God creative, powerful, majestic and amazing?!?! Here are a few other Astronomy-themed Scripture verses that you can incorporate into your CC Day or time at home, too. Enjoy this journey in finding God in all things! Your righteousness, O God, reaches the high heavens. You who have done great things, O God, who is like you? Little House on the Prairie: The Complete Nine-Season Set (Complete Series + Pilot Episode) is Amazon’s “Deal of the Day” selling for $86.99, as opposed to $149.99! For anyone looking for wholesome, quality television, here you go! I looked forward to Friday nights as a child because Little House on the Prairie was always on! This deal is today only. It will end just before midnight, so don’t miss it! And if you’re an Amazon Prime member, you can have it on your doorstep in 2 days. Not an Amazon Prime member? Sign-up for a FREE 30-day trial! I’ve been waiting for the perfect opportunity to *SHARE* one of our family’s favorite cds, Geography Songs (You Never Forget What You Sing) . We were first introduced to the cd by my friend, Amy, a mother to 5 boys, 3 biological and 2 from Ethiopia. She said that her family used it over and over while they were waiting to bring home their first son from Ethiopia. She explained that the songs on the CD have all of the countries of the world set to catchy little tunes. I love geography, maps, and all things “world”ish, so we bought it ASAP. When our oldest son was still a baby, a friend wisely told me to find as many resources that I could with information set to music. She said, “He’ll never forget what he sings.” That’s actually the tagline to this wonderful Geography Songs cd–You Never Forget What You Sing. And, isn’t that true?!?!? I can still remember the silliest things that I learned as a child. Isn’t it a beautiful idea to have children learn important information set to music?!?! (That’s one of the million reasons we love our homeschool tutorial, Classical Conversations, since it’s based on this same philosophy.) So, if you are looking for a fun way to introduce your child to the world, I can not recommend this enough! Learning happens effortlessly–The CD contains a “Continents and Oceans Song.” Our middle son was 3 when we got this cd, and he knew all continents and oceans after about 48 hours. He sauntered around the house shouting the names of the continents and the oceans. I LOVED IT! Now, clearly, he had no idea what he was saying and what that meant. However, when he learned the continents in Classical Conversations last year, he immediately started singing the song. My heart was full. You, too, may find your child walking around your house singing “Oman, Qatar, United Arab Emirates, Island of Cyprus, Jordan…” So, if you don’t want your child exposed to all the countries of the world in a fun musical way, I would not buy this cd. However, if you do, this is a must purchase. participating in Classical Conversations–Although the songs don’t perfectly “match up” with the Geography grammar for the particular cycles, all of the countries in the Geography grammar are included in songs on the cd. (After all, it’s all the same planet, right?!?!) Particularly of interest for Cycle 2 is the “Continents and Oceans” song on the CD, which is part of the Geography grammar for Cycle 2. You better believe I’ll be singing along with it as my Abecedarians and I learn those locations. Shameless promotion–FREE Bag Tag with any order from Keep in Touch Stationery Co.! This is my shameless promotion of my *little* stationery business, Keep in Touch Stationery Co. In keeping in step with the by-line for my blog, somethings are just too good to keep to myself, I wanted to SHARE a little sale that I have during the month of August. With any August order, you’ll receive a FREE Bag Tag (TWO FREE Bag Tags if the order is placed by 2pm on 8/8/13!!!). 2) always in need of Bag Tags for our kiddos’ backpacks and lunch boxes! I am quite frustrated with the calendar on my refrigerator. It’s telling me the current month is AUGUST, and I KNOW that can’t be true! I believe my calendar is lying to me, or perhaps, I’m just in denial. Where has the summer gone, people?!?!? Sigh. Although I love the rhythm and structure our school year provides me and the boys, I’m still trying to enjoy these last few days of no structure, unseasonably warm weather (we’ve had a GLORIOUSLY mild summer! ), and lazy summer days. I’m trying to overcome my denial that it’s already August. In a few short weeks, our new school year will be beginning. Seems like only yesterday that we were finishing Cycle 1 Week 24 at our local Classical Conversations Community. Sigh (again!) With only a few more weeks of summer, I’m trying to get ahead on some planning for the upcoming school year. 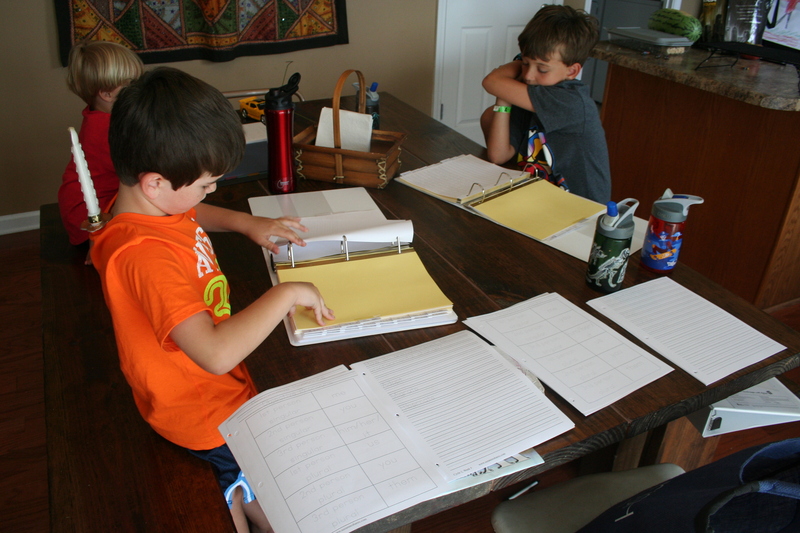 My inlaws called over the weekend and asked to keep the boys for a few days, so I’ve spent the last several days rearranging our school room, pulling out next year’s curricula and trying to organize a daily and weekly schedule for our school year. Planning for the upcoming school year, causes much anxiety, panic and mental chaos for me. I’m a perfectionist, so I have a tendency to be unrealistic about what we can accomplish in a year. This usually results in a list a mile long of what I want to accomplish and spending 95% of my day FRUSTRATED because we’re not getting it done. My husband has become my “unrealistic expectations” filter (thank you, God, for him!) I have learned to get him to look over and talk through with me what my goals are for the year. He can read over them in about two seconds and help me discern if I’m being realistic or unrealistic. In addition to my often unrealistic expectations, I also get easily overwhelmed when I look at what all we will be doing this year. Anxiety, panic and mental chaos yet again. However, this summer has been different. I have no one to think but God Himself. This is clearly not of me! Remember, I just resort to anxiety, panic and mental choas. It all started when I signed up for a Women’s Book Study this summer. We’re reading through A Praying Life: Connecting With God In A Distracting World by Paul Miller. I love many things about this book, but probably the greatest take away for me so far is a reminder to simply ask God–pray–when I have a need. In the book, Miller traces a division between facts and feelings from the 18th century Enlightenment where the thinkers of the day decided that God wasn’t necessary anymore. Miller continues, “The Enlightenment mind-set marginalizes prayer because it doesn’t permit God to connect with this world.” Therefore, living in the post-Enlightenment era, it is easy to believe that there are some things that one just shouldn’t pray about. As I read this section of the book, I realized that I was allowing our post-Enlightenment culture to impact me. I had never verbalized it, but in my heart, I believed that there were some things that I truly shouldn’t pray about. Whoa…gut punch. I’ve read that verse hundreds of times, but it was refreshing to read again in this context. I loved this quote because it beautifully put words to what was going on in my heart, “Those who [don’t ask] surrender to God before they are real with Him. Sometimes we try so hard to be good that we aren’t real. The result is functional deism, where we are separated from God. The real you doesn’t encounter the real God.” Wow…that was convicting. Thanks to this book I realized that I was a functional deist. God used this book to expose the faithless places that exist in my heart, places that I don’t like to acknowledge exist or to let others see. How has my world been different since reading this book? Well, it’s helped me to understand that I can bring anything and everything before the Lord and that nothing is too trivial for God to hear. Before reading this book, would I have thought to have PRAYED in the midst of my anxiety and struggle while planning our homeschool year? NEVER! Now, though, I have thought about it and have prayed about it. It was actually so refreshing to pray and turn over my worries and anxieties to Him rather than letting them cripple me! How revolutionary–we don’t have to succumb to sin when it entices and entangles it. Isn’t that refreshing and beautiful!?!? This book gave me a new vision and understanding of what prayer is and how to pray. It was also a wonderful read as a parent. Miller gives some wonderful examples of how he saw prayer change his children and family. This book is about prayer and would never be marketed as a “Parenting” resource, but I, actually, think that it should be! Loved this quote, “Until you are convinced that you can’t change your child’s heart, you will not take prayer seriously.” If you’re needing some encouragement and practical help on how to pray for your children, I highly, highly, highly recommend, A Praying Life . So, now to get off here and back to my school year planning. Thankfully, I now know how to battle the anxiety, panic and mental chaos. 🙂 I know myself well enough to know that anxiety, panic and mental chaos will try to creep back into my heart and mind. I am thankful for the vision from A Praying Life ; I do not have to give into my sin. Through prayer, He will meet me in the moment. Typing those words right now, a huge peace fell over me. Praying that you and I will let Him meet us in our moments–no matter what they are–through prayer.